I cannot even begin to tell you how much I love this photo. 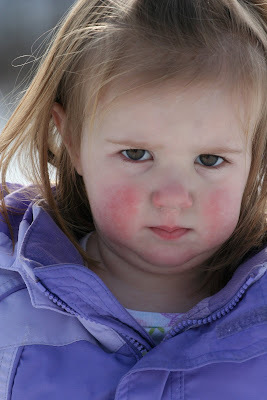 The pink cheeks and all of the surrounding color followed by that little twinkle in Cole's eyes. 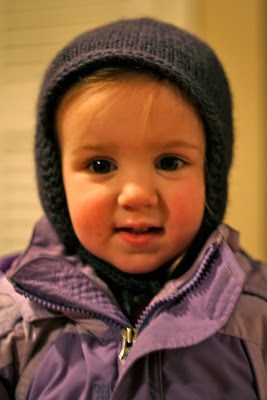 I might enter into the I Heart Faces photo challenge this week. I just adore it! Tricks with the new lens and I love Cole's expression! 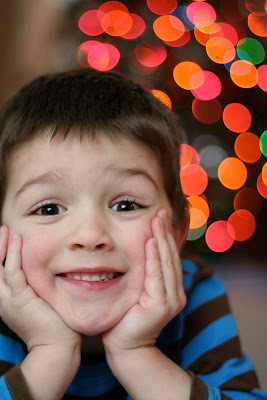 Cole was kind enough to be my subject for this tree light bokeh! I love these pictures! 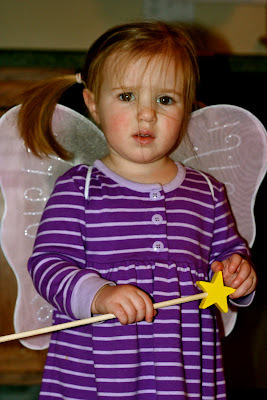 That is one sad fairy! She was saying "no pictures ma-MA!" 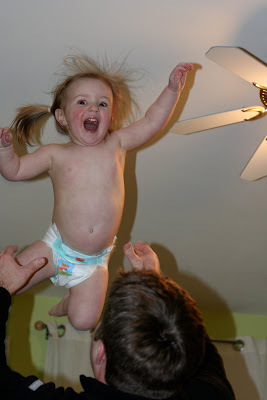 She looks wild and crazy but was laughing up a storm! 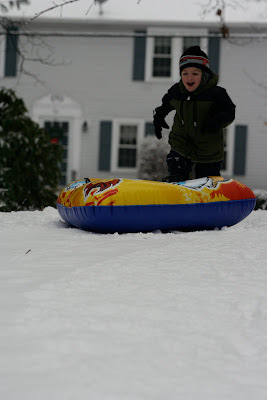 Last Monday Cole and I tried out his new sled on our side yard. It was a lot of fun and just a prep for the big hill we battled with and conquered later on in the week! 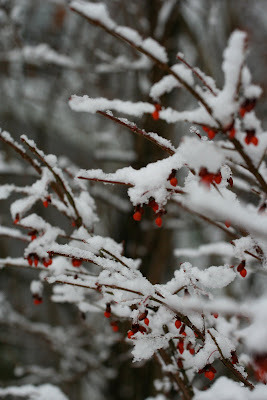 And I just love these berries covered in snow! Great pictures Kelly! Cole and Charlotte are just too adorable for words! 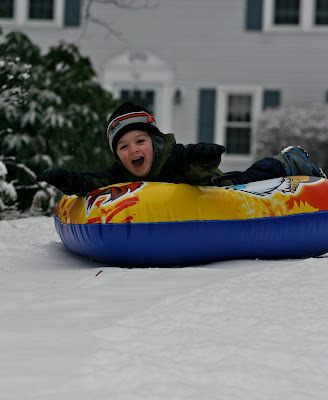 Oh, how i miss the snow too! And I love the new blog design. Happy New Year! Those are fantastic pictures!! I love the third one down of Cole-- he's so expressive. good, Good, GOOOD! Love the pics!! tree bokeh is great! What a good little subject you have! Perhaps next year I can borrow him! Mean face Charlotte is so funny! and the snow covered berries are devine! 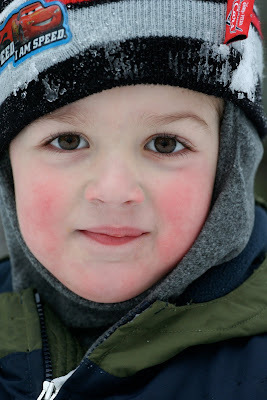 Cole's sledding pictures are great.. these kids just love to sled!! I'm glad!